Earlier this month, we released an updated version of our adventure Deadly Delves: Along Came a Spider for the Fifth Edition of D&D. Inside are a number of new monsters and spiders do take up the majority of those new monsters. However, they are not the only new monsters inside. Today we want to show off the mite. These little fey are used to being kicked around. They get absolutely no respect and carry a grudge because of it. Despite their evil bent, they are not without their redeeming qualities. Find out what they are by reading this adventure today. Download Deadly Delves: Along Came a Spider today at the JBE Shop, DriveThruRPG, Paizo, and the Open Gaming Store. Dart. Ranged Weapon Attack: +4 to hit, range 20 ft./ 60 ft., one target. Hit: 4 (1d4 + 2) piercing damage. Vermin Empathy (1/day). As an action, a mite can conjure a swarm of bats, a swarm of rats, a giant centipede, 2 giant rats, or a giant wolf spider. The conjured creatures attack the closest creature except the mite. The mite has no additional control over the conjured creatures. Giant spiders have overrun Mossdale, and every last villager is either dead and dessicated, or cocooned and abducted. But what were they after, and who coordinated the vermin to attack en masse? Could it have been the local ettercap or a crazed arachnophile druid… or was something far more sinister behind the attack? Can the adventurers rescue the missing citizens and foil the plans of the nefarious mind behind this dastardly deed before it is too late? Dangers Unknown. Treasures Untold. Adventure Awaits. 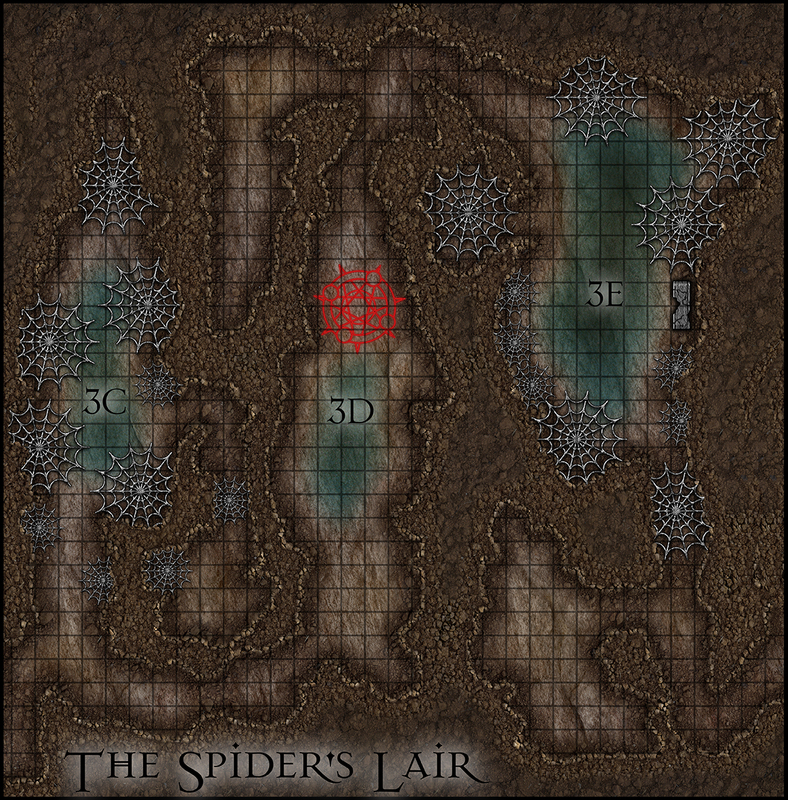 Download the updated adventure Deadly Delves: Along Came a Spider for Fifth Edition today at the the JBE Shop, DriveThruRPG, Paizo, and the Open Gaming Store. Yesterday, we rereleased Deadly Delves: Along Came a Spider in PDF for Fifth Edition. The original was our first adventure we released for 5e and I think it deserves a mention as to why. The answer will give you a better picture as to who we are, the way we approach game design, and where we are going from here. First some history. When we first released Along Came a Spider, there was no OGL or DMs Guild for 5e. If you were releasing products for 5e, you did so hoping you wouldn’t get into legal trouble with WotC. You had to be sure you were right, legally speaking. You had to know what you were doing or that might be the last thing you published. If you remember, the playtest lasted two years and it look another two years for the 5e SRD to be released. Add to that their slow release schedule. While it helped them sell books, it meant that if you didn’t want either of the adventures they released that year, you had no other options. So it was in that environment we decided to go ahead and publish for 5e without a net, so to speak. Along Came a Spider was designed to be both a Pathfinder release as well as a 5e release. It was written by Joel Flank–a freelancer I trusted as being excellent with Pathfinder and like me and some of my editing crew switched to 5e during the playtest. We loved the new game and wanted to be apart of it right away. Heck, our adventure Rescue from Tyrkaven was written during the playtest and was converted to Pathfinder when some license wasn’t released for it right away, but that is a take for a different day. When it came to making it a 5e module, we had a number of hurdles about which we had to make tough decisions. Everything from the monster stat blocks to the use of advantage and disadvantage had to be discussed. Ultimately, we decided to go with a Pathfinder-inspired monster stat block since we were using the Pathfinder OGL as our base. Doing so, however, meant that our monster stats did not look like 5e stat blocks. While not a big deal as all the stats were 5e stats and not Pathfinder, it was a barrier to using our module effortlessly. A core philosophy in our modules and any other GM-related products we create is to make the GM’s job easier. We decided that the benefit of a GM having the option of another module to choose from outweighed any barrier of having the monster stat blocks and similar legal hoops we jumped through to make this safe. When we decided to redo this module, fixing the monster stat blocks and similar barriers was at the to of our to-do list. Then there is the issue of layout. The original version of Along Came a Spider appears almost identical our Pathfinder version. Having run far more Pathfinder modules than 5e modules at that point, I was quite use to having monster stat blocks right in the text and did not like having to flip to the back of the book for all the monsters. Since that time, we have heard from many 5e fans that said they prefer having their monsters in the back. Since those early days, I’ve run more 5e modules and I must say I like having all the monster together when I am running a module from a PDF because it means I can print out the monsters and not have to print out the adventure along with it. There is one other major difference in this version over the original: a third map. Our budget for modules back in those days was pretty low. We had just enough for only two maps. We decided the maps should cover what we felt were the most critical and visually appealing fights. Ultimately, we decided to not have a map for the final few fights since they were in caves, figuring a cave map is pretty easy to come up with. All the reviews and comments we received concerning Along Came a Spider mentioned the lack of a final map and I knew that if we ever revisited Thai adventure, this would be one of the things we addressed. I am happy to report, those final fights have a map that we can be proud of that will inspire GMs and players in these final moments. I just sent off details for #DnD5e Deadly Delves: Reign of Ruin to be coming out in game stores. Look for it in late spring/early summer. Next month, Jon Brazer Enterprises returns to gaming stores, and we could not be more thrilled. It has been about 5 years since our last book was shipped to game stores. We left because the logistics of getting a book to print on a regular basis was more than I could handle at that time. As time past, my circumstances have changed, and now I can bring all the awesome books we have been working on for the past few years to your gaming table via your local game store. We are kicking that off with the high level adventure Deadly Delves: Temple of Luminescence. For those of you that do not know, our Deadly Delves line of adventures are designed to be easily dropped in to your campaign with little modification. Each adventure is self-contained. The Temple of Luminescence, as an example, can be added to any campaign setting by the GM changing one name to the setting’s Sun deity. Even then, if you are building your own setting, we included the deity and some details, making your job easier if you so desire. Not only does the Temple of Luminescence easily fit into most games, it can even be a place where the adventurers go-to earlier in their campaign, seeing as how this location is associated with a major good-aligned deity and the majority of those inside are good (if misguided and deceived in this adventure). They could get to know the place and even work for the guy they will be fighting here. One of the guardians of the temple is a brass golem. This high level monster is only one of the challenges your characters will face should they fight their way through the temple. It is an interesting adventure that most gamers won’t see coming. Be sure to tell your local game store today that you want a copy. They can order it for you for release day in February. Cold Sensitivity. If the golem takes cold damage from a spell or magical effect, it is restrained. At the start of each of its turns while restrained, roll a d6. On a 6, the golem is no longer restrained. Death Throes. The golem explodes when it is destroyed. All creatures within 30 feet of the golem must make a DC 17 Constitution saving throw, taking 36 (8d8) fire damage on a failed save, or half as much damage on a successful one. Fire Absorption. Whenever the golem is subjected to fire damage, it takes no damage and instead regains a number of hit points equal to the fire damage dealt. Immutable Form. The golem is immune to any spell or effect that would alter its form. Magic Resistance. The golem has advantage on saving throws against spells and other magical effects. Magic Weapons. The golem’s weapon attacks are magical. Multiattack. The golem makes two melee attacks. Brass Falchion. Melee Weapon Attack: +10 to hit, reach 15 ft., one target. Hit: 18 (3d8 + 5) slashing damage plus 14 (4d6) fire damage. Slam. Melee Weapon Attack: +10 to hit, reach 10 ft., one target. Hit: 15 (3d6 + 5) bludgeoning damage plus 14 (4d6) fire damage. Breath Weapon (Recharge 5–6). A cloud of smoke and cinders fills a 20-foot radius. Each creature in that area must make a DC 17 Dexterity saving throw, taking 21 (6d6) fire damage on a failed save, or half as much damage on a successful save. On each of the golem’s turn, roll a d6. On a 6, the cloud disperses. Otherwise, it remains and deals damage as above to creatures entering the area. A Beautiful Map with a GM’s version included in the adventure and a separate PDF that includes player-friendly versions of each map—perfect for play on your favorite VTT! Dangers Unknown. Treasures Untold. Adventure Awaits. Download Deadly Delves: Temple of Luminescence today at the JBE Shop. You can also find this adventure at DriveThruRPG/RPGNow, Paizo, and coming soon to the Open Gaming Store. Last week was the first preview of our upcoming 5e adventure Deadly Delves: Temple of Luminescence by showing off the greater fire elemental. While that is great and all, that is hardly something amazing. Sure it is really good for wizards and druids that want to conjure one of these bad boys up 17th level or if they get their hands on a 9th level scroll of conjure elemental. Otherwise, a fire elemental is not exactly a terribly exciting monster. Well how about a new type of dragon. Deadly Delves: Temple of Luminescence features two new dragon types that Fifth Edition fans have never seen before. These dragons are from the stars and have abilities that reflect their extraterrestrial origins. Today we are sharing with the ancient solar dragon. This dragon is here because the Temple of Luminescence is an immense temple to a sun deity and a solar dragon is a living representative of the sun deity. Naturally, it would want to feel the warmth of the sun more and sharing that warmth with everyone on the planet would not seem reasonable to it, yes? That may just be the case in this adventure. Download Deadly Delves: Temple of Luminescence today at the JBE Shop. You can also find this adventure at DriveThruRPG/RPGNow, Paizo, and coming soon to the Open Gaming Store. Armor Class 17 (natural armor) Hit Points 261 (16d20 + 96) Speed 40 ft., fly 80 ft.
Channel Radiation. When the dragon uses its action to Channel Life, it can instead release a wave of radiation. Creatures other than the dragon within the corona must make a DC 18 Constitution save, taking 10 (3d6) radiant damage and 10 (3d6) poison damage. Constructs are immune to this ability. Intergalactic. In outer space, the dragon can survive in the void and fly at incredible speed. Travel times vary, but a trip within a single solar system should take 3d20 hours, and a trip beyond should take 3d20 days or more if the dragon knows the way to its destination. The dragon can carry one rider of one size category smaller than itself, four passengers two sizes smaller, eight passengers three sizes smaller, or 16 passengers four or more sizes smaller. Passengers are protected from the void of outer space. Primal Fire. The dragon’s breath weapon ignores a target’s resistance to fire; targets who are immune to fire instead only resist the dragon’s breath weapon. Multiattack. The dragon can use its Alien Presence. It then makes three attacks: one with its bite and two with its claws. Bite. Melee Weapon Attack: +14 to hit, reach 15 ft., one target. Hit: 19 (2d10 + 8) piercing damage plus 9 (2d8) fire damage. Claw. Melee Weapon Attack: +14 to hit, reach 10 ft., one target. Hit: 15 (2d6 + 8) slashing damage. Tail. Melee Weapon Attack: +14 to hit, reach 20 ft., one target. Hit: 17 (2d8 + 8) bludgeoning damage. Alien Presence. Each creature of the dragon’s choice that is within 120 feet of the dragon and can see it must succeed on a DC 22 Wisdom saving throw or become blinded for 1 minute. An affected creature can repeat the saving throw at the end of each of its turns, ending the effect on itself on a success. If a creature’s saving throw is successful or the effect ends for it, the creature is immune to the dragon’s Alien Presence for the next 24 hours. Solar Breath (Recharge 5–6). The dragon exhales a solar flare in a 120-foot line that is 10 feet wide. Each creature in that line must make a DC 20 Dexterity saving throw, taking 31 (9d6) radiant damage and 31 (9d6) fire damage on a failed save, or half as much damage on a successful one. Channel Life (3/Day). The dragon creates a corona of sunlight in a 90-foot radius centered on the dragon. All living creatures within the corona regain 31 (7d8) hit points. Undead within the corona must make a DC 18 Constitution saving throw or take an equal amount of radiant damage and become blinded for 1 minute. On a successful save, an undead creature takes half as much damage and isn’t blinded. The dragon can take 3 legendary actions, choosing from the options below. Only one legendary action option can be used at a time and only at the end of another creature’s turn. The solar dragon regains spent legendary actions at the start of its turn. Detect. The solar dragon makes a Wisdom (Perception) check. Tail Attack. The solar dragon makes a tail attack. Wing Attack (Costs 2 Actions). The dragon beats its wings. Each creature within 15 feet of the dragon must succeed on a DC 22 Dexterity saving throw or take 15 (2d6 + 8) bludgeoning damage and be knocked prone. The dragon can then fly up to half its flying speed. A searing beam of light strikes a creature within 120 feet of the dragon that it can see. The dragon makes one ranged attack roll (+6 to hit) against the target. On a hit, the target takes 3 (1d6) radiant damage and 3 (1d6) fire damage and is blinded until the end of its next turn. A solar wind rushes through the lair in a 90-foot line that is 15-feet wide originating from a point within 120 feet of the dragon that it can see. Each creature in the solar wind’s area must succeed a DC 15 Strength saving throw or be pushed 15 feet following the direction of the line and take 3 (1d6) radiant and 3 (1d6) fire damage on a failed save, or half as much damage and isn’t pushed on a successful one. The solar wind disperses gas or vapors. The moisture in the air rapidly dries out in a 60-foot radius centered on the dragon. Each creature within the area is overcome with an unquenchable thirst and must make a DC 15 Constitution saving throw, suffering a level of exhaustion on a failed save. Constructs and creatures immune to fire damage are immune to this ability. While I was preparing preview material for the upcoming 5e adventure Deadly Delves: Temple of Luminescence, I noticed that we never came up with wallpaper for the Pathfinder version. When I realized that, I knew I could not let that stand. The interior image by Jacob Blackmon is just far too awesome to let that go without being made into wallpaper for your computer. This image features Khol, our signature catfolk barbarian, walloping a sun dragon with his bare claws while Runa, our signature dwarven cleric is neutralizing the dragon’s attacks with her spells. I mean, holy cow is that awesome or what? In the middle of the room is a pillar of fire. This scene if featured in the adventure and is pretty awesome. Find out all the details about this fight inside Deadly Delves: Temple of Luminescence. You, however, can snag this image for your computer desk. Download it now for Pathfinder and Fifth Edition. While you are at it, be sure to download Deadly Delves: Temple of Luminescence for Pathfinder or Fifth Edition. Download now. 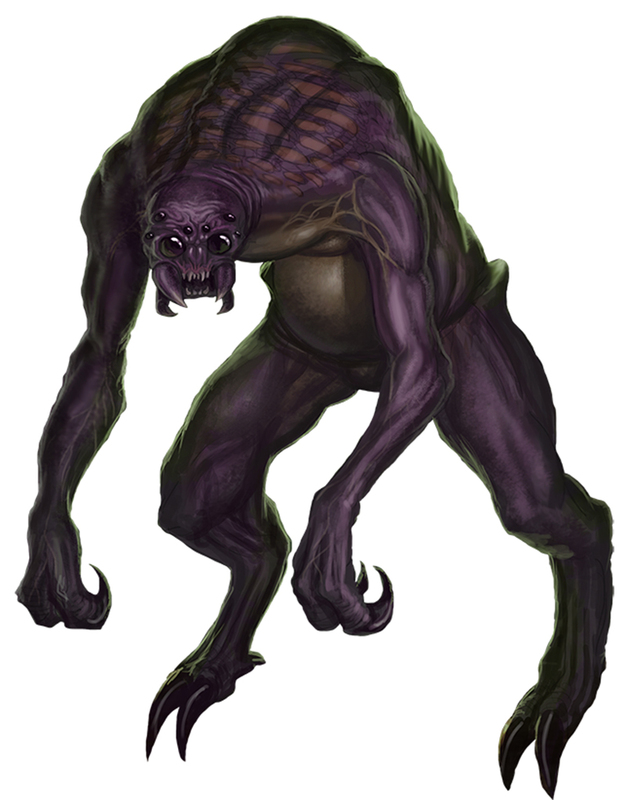 One of the challenges of converting a module from Pathfinder to 5e is the lack of monsters. 5e hasn’t been around as long as Pathfinder, Wizards hasn’t put out monster books at the same rate as Paizo, and only most of the monsters in the MM are open content while none of the monsters in any subsequent monster books are available for me to use. As such, the bestiary section of each adventure is considerably larger than their Pathfinder counterparts. Take the greater fire elemental in the upcoming Deadly Delves: Temple of Luminescence as an example. This CR 9 variant of the standard MM fire elemental was hardly difficult to make. We started with the basic fire elemental and leveled it up from there. No real problem. However, we had to include the stats for it in this adventure where we could just put the reference to it in the Pathfinder version in the original adventure. The good thing about this though is that we can bring it to you, both in this adventure and in the upcoming Book of Heroes: Conjurable Creatures. The adventure will be out soon (hopefully by the end of the month) while Conjurable Creatures will be out early next year. The best part is that both of these will be available in game stores sometime next year. We are really looking forward to bringing you some awesome adventures and supplements to your game. Be sure to check them out. Fire Form. The elemental can move through a space as narrow as 1 inch wide without squeezing. A creature that touches the elemental or hits it with a melee attack while within 10 feet of it takes 10 (3d6) fire damage. In addition, the elemental can enter a hostile creature’s space and stop there. The first time it enters a creature’s space on a turn, that creature takes 10 (3d6) fire damage and catches fire; until someone takes an action to douse the fire, the creature takes 10 (3d6) fire damage at the start of each of its turns. Illumination. The elemental sheds bright light in a 60-foot radius and dim light in an additional 60 feet. Water Susceptibility. For every 5 feet the elemental moves in water, or for every gallon of water splashed on it, it takes 1 cold damage. Multiattack. The elemental makes two touch attacks. Touch. Melee Weapon Attack: +10 to hit, reach 10 ft., one target. Hit: 16 (3d6 + 6) fire damage. If the target is a creature or a flammable object, it ignites. Until a creature takes an action to douse the fire, the target takes 10 (3d6) fire damage at the start of each of its turns.